For a truly remarkable experience, enjoy a botanical facial treatment at Calma Spa & Skin Clinic located in Armadale a suburb of Melbourne. Your therapist will tailor the treatment to best suit your skin type. Choose from a hydrating, deep cleansing, regenerative, anti-ageing or purifying facial. Calma Spa and Skin Clinic is a 5-star beauty and health destination in the heart of Armadale’s High Street shopping precinct. This exceptional spa body treatment is a complete body experience. The perfect gift for yourself or for someone special. With this wonderful package, individuals will be left with glowing and revitalised skin. With an aim to enhance health, well-being and appearance in a calm and relaxing environment, it is the ideal present for all occasions. Allow this specially tailored ritual pamper package to float you away to a world full of serenity and relaxation. Relax and unwind as you enjoy a warm oil full body relaxation massage. 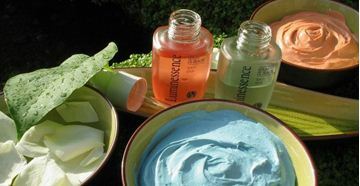 Give your skin a pick me up with a botanical tailored facial. 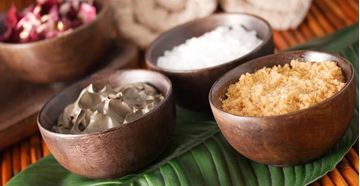 Your skin will be cleansed, exfoliated, massaged and left feeling revitalized. Truly unwind with a spa manicure and let your fingers do the talking with a high gloss OPI polish. Calma Spa and Skin Clinic is a 5-star beauty and health destination in the heart of Armadale’s High Street shopping precinct. The spa and clinic welcomes both men and women and specialises in Hen's Day pamper parties and group bookings for up to 15 people. The bride to be and her five special guests have the opportunity for a little pampering together before her "big day" at La Phyto Day Spa. A perfect way for the bride-to-be to celebrate her upcoming big event with a group of 5 friends. 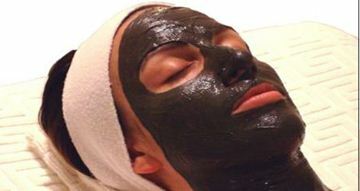 For 6 ladies to enjoy a deep facial cleanse, a gentle Facial Massage, customised Colour Masks application, hands and feet exfoliation and moisturisation, steam bath, refreshments and show bags. Treat someone special to this amazing treatment package and let the team at Your Indulgence Skin Clinic de-stress and pamper someone in much need of an afternoon of relaxation. Package includes an express hydrating facial treatment, a relaxing back and shoulder massage, an intense scalp treatment and soothing food massage. Indulge in a one-hour body treatment and massage for total well-being and relaxation. This relaxing one hour moisturisation and massage treatment is the perfect way to spoil yourself or someone special. Indulge in a one-hour body treatment and massage for total well-being and relaxation. The ultimate gift for anyone who wants to be pampered and revitalised, the "Rebirth" experience is one of the most extraordinary spa treatments available. Includes an Aroma-clay massage treatment, choice of hydrotherapy treatment, face and body moisturisation and light refreshment.